Beat eggs in a deep bowl. Add salt, ground black pepper and garlic powder to taste. Marinate slices of pork belly in the egg mixture for at least 10 minutes. Dip each slice of pork belly in the flour and set aside. 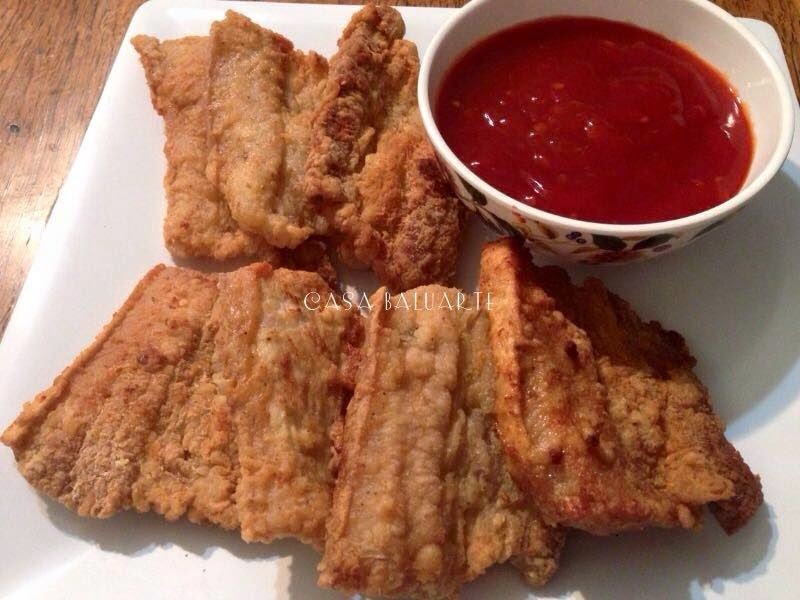 Fry pieces of pork in medium low heat till golden brown. 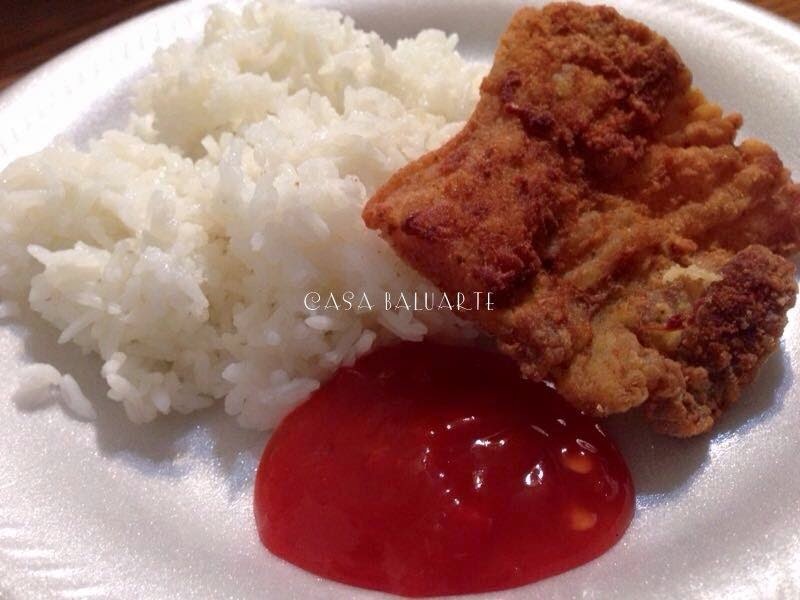 Remove from heat and serve with banana ketchup mixed with chili sauce.